The best place to have a bet on the 2013 Hong Kong Cup is with Bet365.com. The odds below were taken from the site, and you will be able to find the latest race odds there as well. Bet365.com is also offering each-way betting on the race, with which you will receive 1/4 if should your selection place in positions one to three. One of the travelers to look out for may be French star Cirrus Des Aigles, who will be looking for success in the Hong Kong Cup at the fourth time of asking but is looking in great form leading up to the race. The seven-year-old was taken through his paces by jockey Christophe Soumillon on Thursday and trainer Corine Barande-Barbe was happy with what she had seen. As mentioned above, the best racebook to place a bet on the 2013 Hong Kong Cup is Bet365.com, who will offer the best odds on the race. When visiting Bet365.com, click on ‘Horse Racing’ in the left sidebar and scroll down to the Antepost section of the page, where you will find the markets for this race and many more. 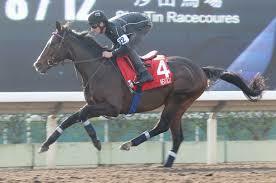 The Hong Kong Cup is a Group 1 race open to horse aged three years and older. The race is run over a distance of 2000 metres at the Sha Tin Racecourse in Hong Kong and has $2.83 million, making it the richest 2000-meter race in the world. The race has been won for the last two years by California Memory. It is one of the four Hong Kong International races, along with the Hong Kong Mile, the Hong Kong Vase and the Hong Kong Sprint.